The fourth tropical storm of the 2013 Eastern Pacific Hurricane Season formed off the southwest coast of Mexico. It is expected to produce 1 to 3 inches of rain on the coastal states. The storm is expected to become a hurricane on Tuesday as it continues to move away from Mexico. A TROPICAL STORM WATCH MEANS THAT TROPICAL STORM CONDITIONS ARE. EXPECTED TO BECOME A HURRICANE ON TUESDAY. On the same day they announced their second quarter earnings, Carnival Corporation & plc, parent company of Carnival Cruise Lines, Holland America Line, Princess Cruises, Seabourn, AIDA Cruises, Costa Cruises, Cunard, Ibero Cruises, P&O Cruises (Australia) and P&O Cruises (UK), announced that it was splitting roles of Chairman & CEO. Micky Arison will continue to serve as Chairman of the Board of the company and Arnold W. Donald, a highly experienced and respected business leader who has served on the company's board for the past 12 years, will assume the CEO role effective July 3. According to the press release, In his role as chairman, Arison will continue to provide board level oversight for the company and will remain the company's largest shareholder. Donald will lead the executive team, initially focusing on achieving the company's long-term strategic goals while working directly with the operating brand executives. Frank will continue to serve in his current role as vice chairman and COO of the company, supporting Donald in working with the corporate level executive team. The move has received unanimous approval from the company's nominating and governance committee as well as the full board of directors. "I have been discussing this with the board for some time now and feel the timing is right to align our company with corporate governance best practices and turn over the reins after 34 years as CEO," said Arison. "Arnold is an exceptional professional with extensive experience in organizational leadership who will bring a fresh perspective to the company. I have come to value and rely on his judgment and insight during the 12 years he has served on the company's board and I am very confident in his ability to move the organization forward." Arison added, "As chairman, I will still be working closely with Arnold to ensure a great future for all our stakeholders." As you are quite aware Carnival Corporation has been in the news quite a lot the past two years starting with the January, 2012 Costa Concordia disaster in Italy and continuing this year with disabled ships following a fire and other propulsion problems. Carnival has responded with a $300M project to improve reliability and safety of its vessels. "I am honored and privileged to have this opportunity to lead the next stage of growth for Carnival Corporation & plc," said Donald. "As a board member, I have come to know Micky, Howard and the company well. I have a first-hand appreciation of what it has taken to develop this highly successful business, an understanding for the dynamics and challenges we face, and a great deal of confidence in the company's management team and their ability to execute. I have enormous respect for Micky as a visionary in our industry, and as the builder and leader of Carnival. I have come to know many of the talented professionals who work within Carnival during my time on the board and I look forward to working with the company's many stakeholders including our 90,000 employees, 10 million guests, thousands of travel agent partners, vendors and shareholders around the globe." 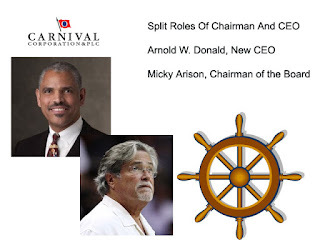 Arison remains the company's largest shareholder, which signals his continued efforts to help Carnival Corporation rebuild the company's image and take it to new levels in the industry. We have just introduced a new format with "at a glance" information about the tropical cyclone at the current time. Tell us what you think about this new format. The third tropical storm of the 2013 Eastern Pacific Hurricane Season formed well south of Mexico and grew into a Hurricane one day later. It was never a threat to land and has since become post-tropical. The NHC will continue to monitor the storm until it is a remnant low. GUSTS. SLOW WEAKENING IS EXPECTED DURING THE NEXT 48 HOURS. Tropical Depression Two strengthened into a named Tropical Storm just prior to making landfall in Mexico as predicted. Once it makes landfall, the storm will disorganize later today or tomorrow. The Galapagos National Park Service works hand in hand with the Charles Darwin Research Station implementing their common goals of conservation and preservation of the natural resources with the Galapagos National Park and Galapagos Marine Reserve. The park service approves all itineraries of boats visiting the islands making sure that the tourism is distributed evenly throughout the islands. They also work as the licensing board for guides in the islands. From the time you arrive in the Galapagos until the time you depart, you will be accompanied by the naturalists who are there to instruct as well as to protect the inhabitants and the land. Some of the excursions that you can select will be labeled as "low intensity". Those trips will typically include a zodiac ride along the island exploring from the water. The driver will get close to land, but yet the inhabitants that you'll be viewing won't be in any harm or show any concern for your presence. They'll go about their day, most likely just resting on the rocks or looking out to sea. The other method of exploration on the islands is on foot of course. Both the low and higher intensity tours will usually include some walking. The higher intensity excursions will have longer walks and may also include some more of a challenge. Your naturalist can answer any questions about the destination to help you decide which one is right for you. You can see in this image that there is a marker to the left of the hikers. It is marked with white and black stripes. The group needs to stay between the markers at all times. This protects the fragile environment. Of course the inhabitants can go wherever they choose, so you may find some of them on your path. Take all the photos you want, but be respectful at all times. Here are some of the faces of Galapagos that you'll see when you explore the archipelago. Some of them only a mother could love while others are so cute you'll fall in love with them at first glance. Add your thoughts and we'll update the captions. After having to cancel four cruises, through June 23rd, the Galapagos authorities have reinstated Celebrity Cruises license to operate Celebrity Xpedition in the Galapagos National Park starting June 30th. As we reported in the article above, Celebrity Cruises was fined and their license was suspended due to the lines' failure to comply with recently modified rules concerning the transport of frozen lobsters in the Galapagos region. It isn't clear why the mistake occurred but the situation has now been cleared up allowing resumption of cruises. However those guests that had planned a trip to the land where Darwin explored June 2 - 30, their plans were put on hold to another time. Perhaps you've never even heard of this cruise adventure before the news story broke about the suspension. We've written a few articles in the past centered around our trip to the region. For those that may have missed that series, we'll take another look at the trip and add details not previously reported. Over one hundred fifty years ago, a man wrote about his quest that took him to a place where he would discover how life evolved thousands of years ago. Travel with me as we follow in his footsteps and discover a land that is inhabited by species that can be found nowhere else on earth. Our destination is an archipelago of volcanic islands near the equator in the Pacific Ocean. We are met by a team of naturalists who transport us by Zodiacs to our waiting ship, Celebrity Xpedition. Every day of this seven-day voyage, we make at least two stops to explore the various islands in the archipelago. The terrain varies from sandy beaches to volcanic rock expanses. The staff has prepared a series of medium and high intensity activities for each location. During our explorations we see male Frigate birds with extended red throat pouches attracting the females, courting Blue-footed Boobies, flightless cormorants, albatrosses, sea lions, fur seals, penguins, whales, several species of Marine and Land Iguanas, Green Sea Turtles, Giant Tortoises, and many other species too numerous to list here. In all cases, we are not seeing these species in cages or man-made pools, but rather in their natural setting. We observe them at short distances, while respecting their habitat. The naturalists are responsible for the conservation of this environment and our enrichment at the same time. If you have not guessed by now, the man who has gone before us is Charles Darwin who visited these Galapagos Islands and was inspired to write his work 'On the Origin of Species'. The Galapagos Marine Reserve, one of the world's largest protected areas, has more than 2,900 reported marine species and over 18% of those live nowhere else on earth. You probably have many questions about a trip like this - from things like altitude illness. 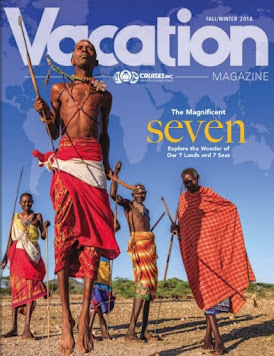 Having been to the region on Celebrity Xpedition, we can provide first-hand knowledge about this amazing trip. It is truly a once in a lifetime experience which should be on your bucket list. 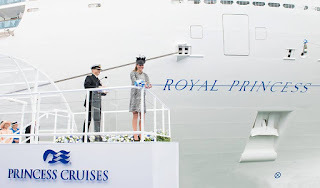 If you weren't up at 6:15 AM Eastern time this morning, then you missed the naming of Princess Cruises newest ship, Royal Princess, by Her Royal Highness The Duchess of Cambridge, better known as the former "Kate" Middleton. Thanks to Princess Cruises, we are able to share this image and video for those that missed this Royal occasion. Do you know why a bottle of champagne is broken against the hull of a new ship? 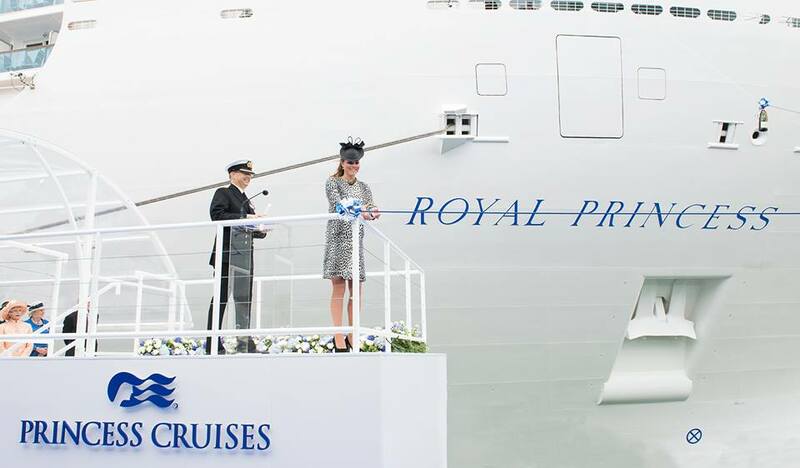 The wait is over, Princess Cruises newest ship will be christened this week by Her Royal Highness, The Duchess of Cambridge (Catherine Elizabeth "Kate"; née Middleton). The United Kingdom is rich in pomp and circumstance when it comes to their Royalty. Launching of a new sea vessel is also deeply rooted in ceremony and tradition. Combine the two, and this week's Christening of Royal Princess will be the event that everyone will be talking about for quite some time. Southampton University Brass Band welcomed the new Royal Princess to Southampton with a musical salute featuring a rendition of “God Save The Queen” as the vessel sailed into the harbor. Music will play a part throughout the week-long inaugural festivities including performances by British pop singer Natasha Bedingfield, British actress Kerry Ellis, and the Band of Her Majesty’s Royal Marines Portsmouth and The Pipe Band of 1st Battalion Irish Guards. SUMMARY OF 1100 PM EDT...0300 UTC...INFORMATION ----------------------------------------------- LOCATION...38.5N 75.0W ABOUT 15 MI...25 KM NNE OF OCEAN CITY MARYLAND ABOUT 30 MI...45 KM S OF CAPE MAY NEW JERSEY MAXIMUM SUSTAINED WINDS...45 MPH...75 KM/H PRESENT MOVEMENT...NE OR 45 DEGREES AT 35 MPH...56 KM/H MINIMUM CENTRAL PRESSURE...997 MB...29.44 INCHES WATCHES AND WARNINGS -------------------- CHANGES WITH THIS ADVISORY... ALL TROPICAL STORM WARNINGS HAVE BEEN DISCONTINUED. SUMMARY OF WATCHES AND WARNINGS IN EFFECT... GALE CONDITIONS ARE EXPECTED NEAR PORTIONS OF THE NEW JERSEY COAST...AS WELL AS COASTAL RHODE ISLAND AND SOUTHEASTERN MASSACHUSETTS. A HIGH WIND ADVISORY IS IN EFFECT FOR NANTUCKET MASSACHUSETTS. Worse flooding in 70 years has hit parts of Central Europe contributing to at least 10 deaths, according to BBC reports. The problem is caused by a stalled weather system that has been dumping heavy rains on the area. States of emergency have been declared in many countries. Areas impacted by the floods include Germany, the Czech Republic, Austria, Switzerland and Poland with Passau and Prague, two major river cruise ports, having been especially affected. We suggest consulting the BBC and weather sites for more details and images about the flooding. We'll concentrate on the impact to the river cruise schedules so that our readers can plan accordingly. 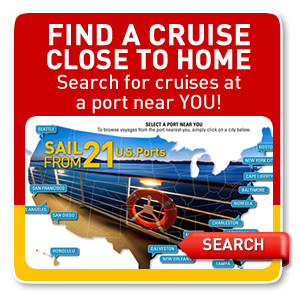 Since this information is fluid, it is best to check the links for any updates as well as the cruise line site directly. We have covered the major river cruise lines in the area - they are other charter groups also impacted - contact them directly. AMA Waterways Our expert teams in Europe and Los Angeles are closely monitoring the current conditions across Europe, on a continuous basis. 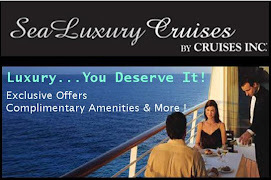 As always, our number one priority is to deliver an enjoyable cruise in a safe environment. The good news is, we have not had to cancel any cruises and look forward to welcoming you aboard! AmaBella from Amsterdam to Budapest and AmaVerde from Budapest to Amsterdam, both June 8. APT's dedicated phone number (in the U.K.) is: 020-8812 3400. Avalon Waterways UPDATE: Additional Cruise Cancellations. Uniworld If you are traveling with Avalon Waterways in the near future and have questions or concerns about your upcoming vacation, given the recent flooding in Europe, we invite you to contact your travel agent or call us directly at 866.397.6593 or email traveleradvisory@globusfamily.com (our U.S. office hours are Monday through Friday, 6 AM to 6 PM MT and Saturday, 7 AM to 3:30 PM MT). We would be happy to address your individual concerns and/or answer any questions you may have, one-on-one. The program will operate as planned onboard the River Empress. 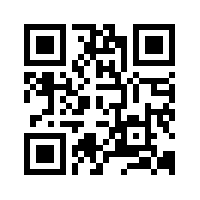 We will be contacting all bookings today to advise of the ship change. The program will operate as planned. Embarkation will take place in Belgrade on June 23 onboard the River Empress. On approximately June 27 in Budapest, we will change over to the River Ambassador and finish the cruise on that ship. Please note the date and location of the changeover is subject to change without notice. We will be contacting all bookings today to advise of the ship change. • June 16, 2013 departure of the River Empress (Amsterdam to Budapest) remains canceled. All guests have been contacted. Viking River Cruises Please note: Below is a complete list of affected sailings as of June 11, 2013. 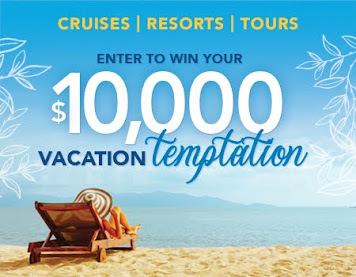 This list will be updated should there be any new cruise embarkations that will be impacted. At this time, if you do not see your cruise embarkation below, your cruise will operate as scheduled. If embarkation dates are added, you will be notified by Viking. 1. June 12th Grand European Tour (Budapest to Amsterdam) aboard Viking Sky — This cruise will begin on Viking Embla (Longship, built 2012). 2. June 14th Cities of Light (Prague to Paris) aboard Viking Prestige — This cruise is expected to proceed as scheduled. 3. 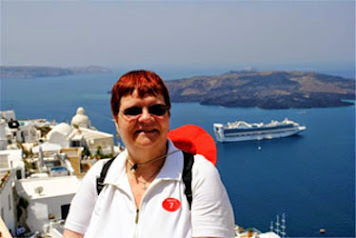 June 15th Romantic Danube (Budapest to Nuremberg) aboard Viking Njord — There is a possibility that this cruise will now take place on a sister ship (Longship, built 2012). 4. June 15th Romantic Danube (Nuremberg to Budapest) aboard Viking Idun — There is a possibility that this cruise will now take place on a sister ship (Longship, built 2012). 5. June 15th Passage to Eastern Europe (Budapest to Bucharest) aboard Viking Aegir — This cruise is expected to proceed as scheduled. 6. June 16th Grand European Tour (Amsterdam to Budapest) aboard Viking Bragi — There is a possibility this cruise will now take place on a sister ship (Longship, built 2013). 7. June 16th Grand European Tour (Budapest to Amsterdam) aboard Viking Skadi — There is a possibility this cruise will now take place on a sister ship (Longship, built 2013). 8. June 16th Danube Waltz (Budapest to Passau) aboard Viking Legend — This itinerary is expected to proceed as scheduled, with minor additional alterations if necessary. 9. June 16th Romantic Danube (Nuremberg to Budapest) aboard MS Vienna — Depending on river conditions and the ability of the ship to reach its port of embarkation in time for departure, this cruise may experience alterations. 10. June 16th Vineyards & Vistas (Nuremberg to Trier) aboard Viking Prestige — This cruise is expected to proceed as scheduled. 11. June 16th Rhine Getaway (Amsterdam to Basel) aboard Viking Sun — This cruise is expected to proceed as scheduled. 12. 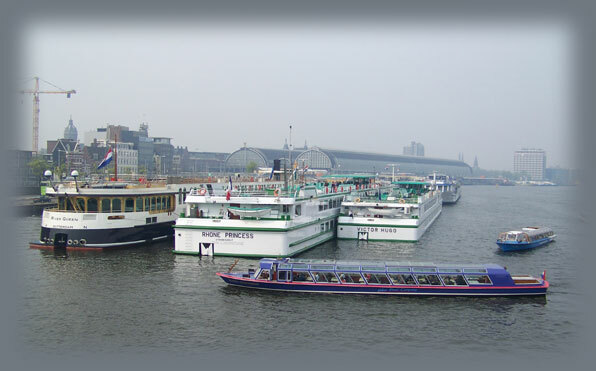 June 16th Rhine Getaway (Basel to Amsterdam) aboard Viking Helvetia — This cruise is expected to proceed as scheduled. 13. June 19th Romantic Danube (Budapest to Nuremberg) aboard Viking Odin — There is a possibility that this cruise will now take place on a sister ship (Longship, built 2012). .
14. June 19th Romantic Danube (Nuremberg to Budapest) aboard Viking Freya — There is a possibility that this cruise will now take place on a sister ship (Longship, built 2012). 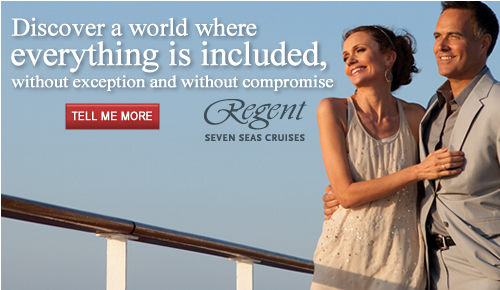 With all the cruise line stories in the news this year, here is one for the books. Twenty-six pounds (12 kilograms) of frozen lobster has prevented Celebrity Xpedition from entering the protected waters of Galapagos National Park. Authorities have suspended the ship's license when it was discovered that the ship was transporting the frozen lobster out of season. The lobsters were purchased legally during season, but according to a recent change in the laws, should have been consumed within 5 days of the end of the season. 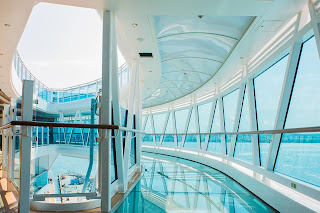 Celebrity Cruises contends that it wasn't aware of the law change and both the cruise line and the authorities did confirm the purchase had been made legally within the season. A $2,000 fine has been levied against the line along with a 45 day suspension. Celebrity is appealing the fine and suspension and at press time it isn't known when this matter could be resolved and sailings continue. According to the line "Celebrity Cruises is committed to complying with the rules and regulations of the Galapagos, which are put in place to protect and safeguard this unique and pristine environment"
We know this first-hand from our Xpedition cruise. The naturalists onboard explained all the rules and regulations and carefully monitored passengers to be sure all were in compliance. 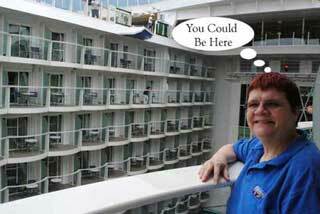 Booked on a Future Cruise? 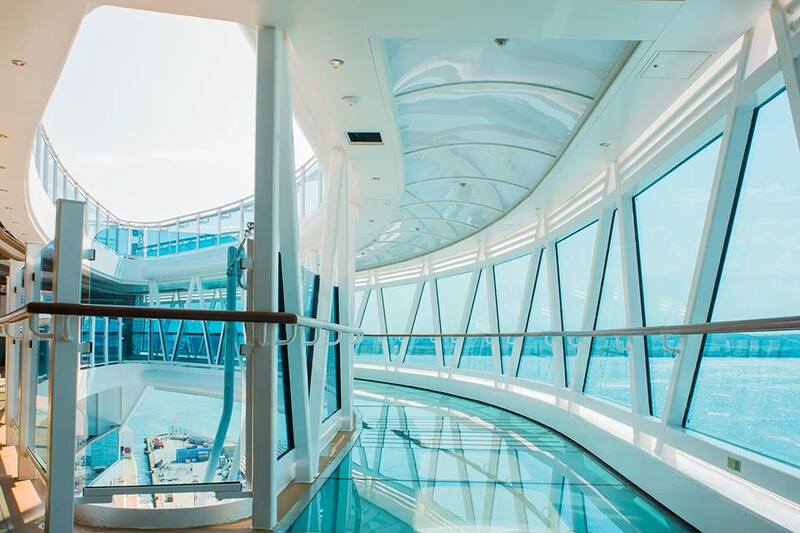 Celebrity Cruises is hopeful that the license can be restored sooner, so they are making decisions on a cruise by cruise basis. June 16th passengers should monitor the situation. We'll provide updates here as we have updates. Celebrity also has a travel alert dedicated to this topic on their site. Consult this for updates. Booked guests can also contact them directly at 1-888-829-4050 in the U.S. and 1-408-916-9001 internationally. Passengers are being compensated for the canceled cruises and also being provided with future credit equal to 50% of cruise fare. They will have 2 years to rebook. 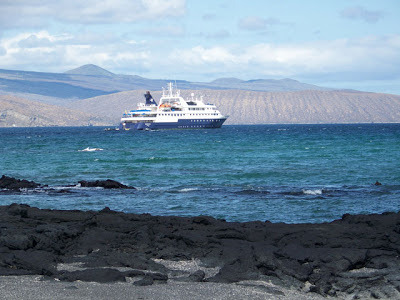 We hope that Celebrity Xpedition will soon be sailing again in the Galapagos. This is an amazing voyage - see our series of articles to learn more about visiting the land where Darwin explored. 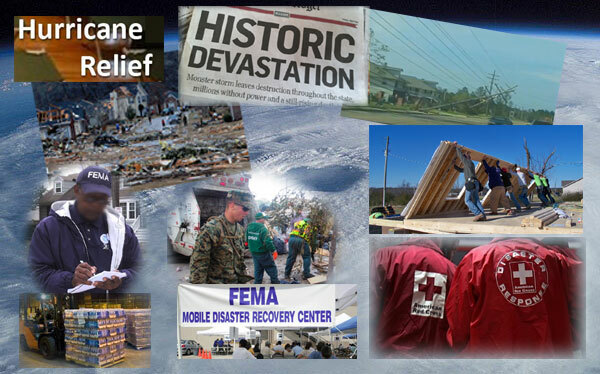 We conclude our coverage of the 2013 Hurricane Preparedness Week by looking at recovering from the storm. Three organizations come to mind when you think about the aftermath of a hurricane or other natural disaster: FEMA, Red Cross, and the National Guard. There are many other organizations and individuals that also play a key role in providing immediate and long-term assistance to those impacted by the hazards of hurricanes and other natural disasters. We've just read some disturbing news, published by the American Red Cross, about how Despite Sandy’s Damage, U.S. Coastal Residents Still Unprepared.